Your home away from home, nestled on a great street handy to all amenities, with a short walk to the supermarket, movie theatre, Shops, restaurants, bars, cafes, skate park and rugby field. Literally park your vehicle as no need to drive everywhere. A fantastic place for all ages to enjoy with a flat section to park the boat and the kids to kick a ball around, outdoor fish filleting bench located at rear of property. Section is fully fenced - great for the kids and pets!! At cost - $30 for your stay. A beautifully presented Bach which we were looking for. Not a Modern Beach house. All amenities were close by. It was Peaceful, private and quiet. We had a great time staying at your Bach. It was perfect for us and such a privelege being able to take our two dogs on holiday with us, in a fully secure property. The Bach was lovely and clean with everything we needed, but still had that great holiday vibe. Thanks so much for letting us stay! Cute little retro Bach, great location. 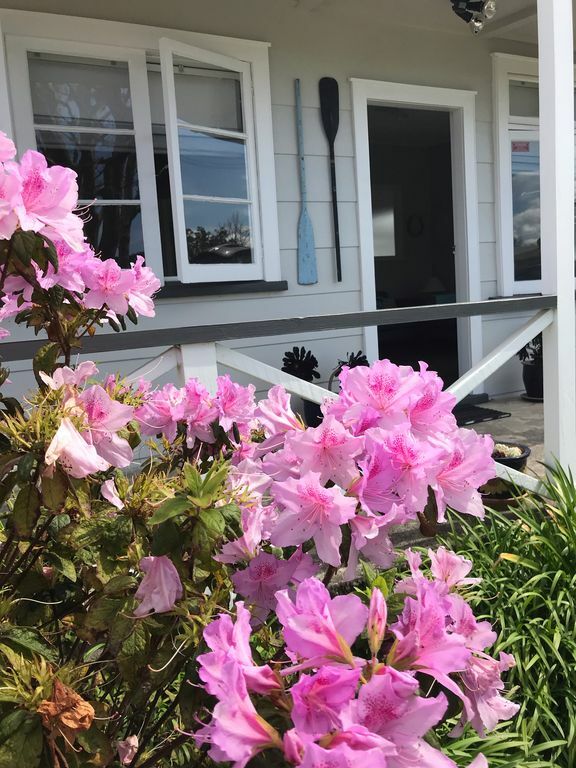 Cute cottage kiwi bach perfect for a weekend get away! Great location close to shops and the beach. Great closed in section great for the kids or the dog. Home away from home!